In her show 88 Pianos i have known, JAN PRESTON shares with us her passion for pianos. Projected images combine with unforgettable biographical stories, original songs and piano music, which will move you from tears to laughter. Underpinned by Jan’s thrilling virtuosity (together with her trio) audiences will be tapping and clapping, and may leave never looking at a piano in quite the same way again! 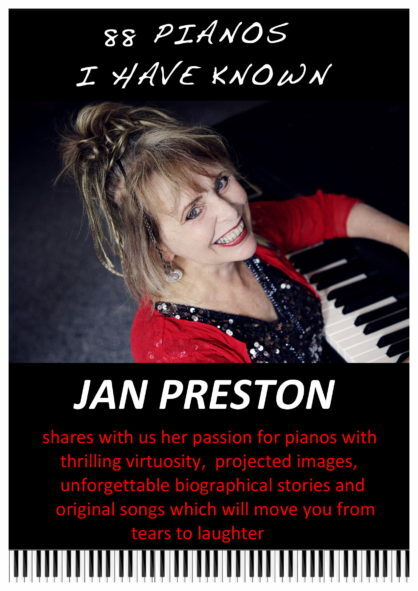 JAN PRESTON is a knockout boogie pianist with a rich resonant voice who has captured audiences around the world with her originality, her energy, and her sparkling charm and gentle wit. From a background in classical music with a long-term interest in composition and song writing, her early career began in NZ with the 1980 No 1 Hit Band Coup D’Etat. 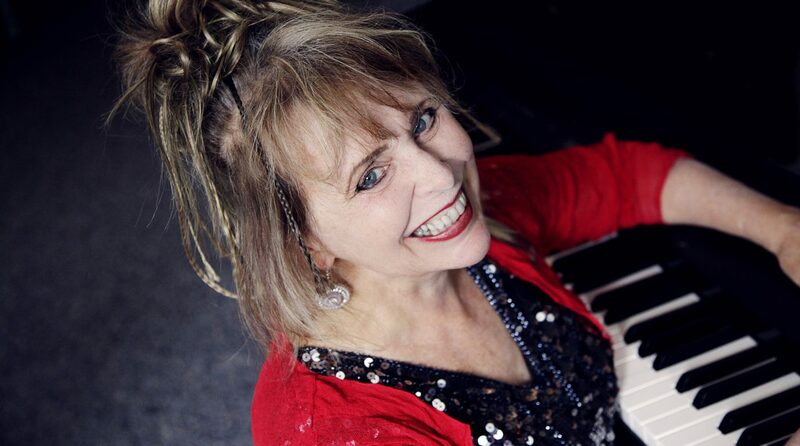 Winner of 5 music awards, Jan has now sold out concerts throughout Australia, NZ, Europe and the UK, composes music for film and TV (most recently for her sister Gaylene Preston’s film My Year With Helen) and performs side by side with the greatest contemporary boogie piano players in the world today.